Serving homeschool student athletes in Houston, Conroe, Montgomery, The Woodlands, Magnolia, Spring, Tomball, Huntsville and surrounding areas in Texas. Updated Wednesday January 9, 2019 by Lori Miller. Registration is now open for 2019 Season. Go to the home page (HHA Home) and Click on "Registration Now Open". Schedule is found on athletic.net under Houston Homeschool Athletics. Choose either MS (middle school) or HS (high school). Schedule is also listed on this website and can be accessed through the SIPlay phone app. We highly recommend everyone downloads SIPlay app (free of charge) and log in with the same login email and password used when registering. Messages can be sent to coaches and teammates easily through this app. Practices will be held at: Knox Junior High (12104 Sawmill Rd, Spring, TX 77380) on Mondays and Thursday from 5 PM until dark beginning Monday, February 4, 2019. Information on Fees can be found under menu tab "Track and Field Fees"
Evaluations will be onThursday, January 31, 2019 @ Knox Junior High from 5:00 PM - Dark (Please bring $50 registration fee for each athlete) Uniforms and warm-ups should be puchased at this time if needed. Uniforms are $50 and warm-ups are available for $60. Uniforms and warm-up samples will be available to try on for sizing purposes. Uniforms must be paid in full at the time of ordering. 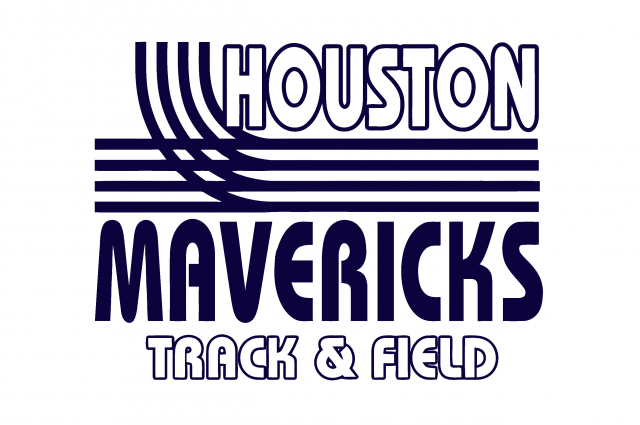 Houston Mavericks will compete against public, private & home school teams in the sprints, distance, hurdles, throws (shot put and discus), jumps (long, triple, and high), and relays. Thank you for your interest in joining our team this year.